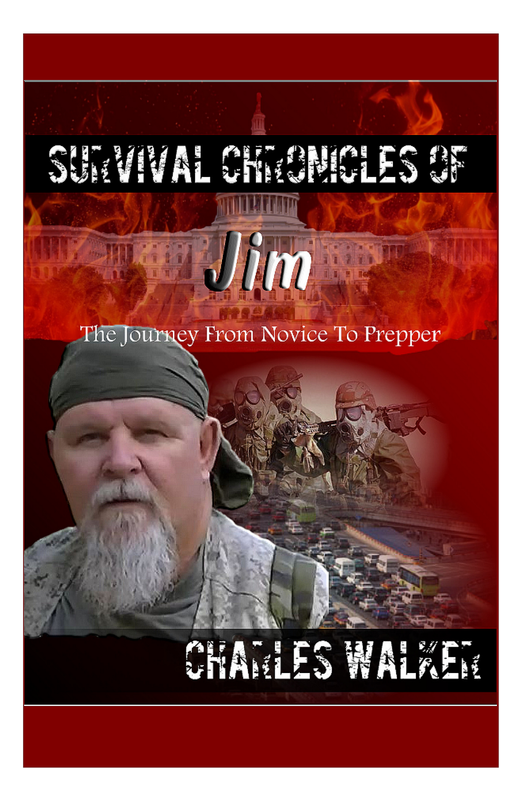 Note: The information provided in this video and blog page is for informational purposes only. Prior to using the techniques listed, you should consult a medical professional. Use the listed information at your own risk. Habitat of the herb: Waste places, walls, occasionally on more or less stable dunes. The plant contains vitamins, beta carotene, and iron. The whole plant is rich in a milky sap that flows freely from any wounds. This hardens and dries when in contact with the air. Concentrations of lactucarium are low in young plants and most concentrated when the plant comes into flower. Lactucarium has the effects of a feeble opium, but without its tendency to cause digestive upsets, nor is it addictive. -Wild lettuce seems safe for most people in small amounts. 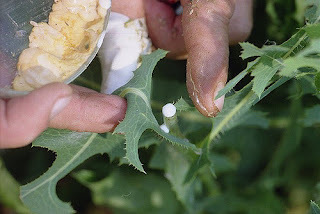 -Applying wild lettuce directly to the skin can cause irritation. -Large amounts can slow breathing and might cause death. -Large amounts can cause sweating, fast heartbeat, pupil dilation, dizziness, ringing in the ears, vision changes, sedation, breathing difficulty. -Don’t use wild lettuce if you have enlarged prostate. -Pregnancy and breast-feeding: Not enough is known about the use of wild lettuce during pregnancy and breast-feeding. Stay on the safe side and avoid use. -Wild lettuce might cause sleepiness and drowsiness. Medications that cause sleepiness are called sedatives. Taking wild lettuce along with sedative medications might cause too much sleepiness. -Sedative medications (CNS depressants) interacts with WILD LETTUCE-Some sedative medications include clonazepam (Klonopin), lorazepam (Ativan), phenobarbital (Donnatal), and zolpidem (Ambien). -Large quantities can cause digestive upsets. 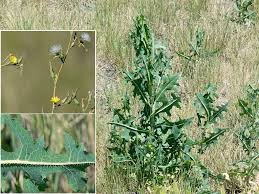 -Allergy to ragweed and related plants: Wild lettuce may cause an allergic reaction in people who are sensitive to the Asteraceae/Compositae family. Members of this family include ragweed, chrysanthemums, marigolds, daisies, and many others. -Narrow-angle glaucoma: Don’t use wild lettuce if you have this eye condition. It contains a chemical that might make glaucoma worse. -Surgery: Wild lettuce can affect the central nervous system. There is a concern that it might cause too much sleepiness if it is taken along with anesthesia and other nerve-numbing medications used during and after surgery. Stop using wild lettuce at least 2 weeks before a scheduled surgery. The appropriate dose of wild lettuce depends on several factors such as the user's age, health, and several other conditions. At this time there is not enough scientific information to determine an appropriate range of doses for wild lettuce. The pain-relieving components are soluble in water. Gather leaves and dry the leaves (If using a dehydrator, make sure you use the low heat setting so you don’t destroy the active compounds). Mix 1-2 teaspoons of dried leaves with 1 cup of water. Let steep for 3-5 minutes. Strain and drink. Repeat up to 3x per day. Note that wild lettuce tea has a very bitter taste. Add some honey and lemon to make the taste better. You can also mix it with other types of tea to mask the taste. Young leaves - raw or cooked. A bitter flavor. The young tender leaves are mild and make a great salad. (The whole plant becomes bitter as it gets older, especially when coming into flower). As a potherb it needs very little cooking. Large quantities can cause digestive upsets. Young shoots - cooked. Used as an asparagus substitute. An edible oil is obtained from the seed. The oil must be refined before it is edible. A pleasant flavour. Young shoots - cooked. Used as an asparagus substitute. As a potherb it needs very little cooking. An edible oil is obtained from the seed. The oil must be refined before it is edible. It is collected commercially by cutting the heads of the plants and scraping the juice into containers several times a day. A brown viscid substance obtained following evaporation of the plant juice, called lactucarium, contains lactucone, lactucin, and lactucic acids. Harvesting The Plant- All plants contains the active medicinal components. However, these components are low in young plants. Thus, it is best to harvest when it is an adult, right after its flowering period. It typically flowers between June and August, but this can vary depending on the climate. To tell whether it is ready for harvesting, just cut the stalk. The milky sap should flow out readily. If it doesn’t, then the plant isn’t ready yet. The milky sap from the stem is the most potent part of the lettuce. Traditionally, wild lettuce was harvested by making cuts in the stalks, letting the sap ooze out, and then letting it dry. The dried sap would be collected. This traditional harvesting method is very time-consuming and tedious. Blend for just a few seconds. You don’t want to completely blend up the leaves. Pour the ground leaves into a pot. Put the pot on a stove at LOW heat. DO NOT LET THE MIXTURE BOIL! Heat for 30 minutes, stirring often. The water should turn a very dark green color. Strain the leaves through a fine mesh (pantyhose works well for this). Put the liquid into a clean pot. Stir frequently. Make sure the mixture doesn’t stick to the bottom of the pot. The water will evaporate, leaving behind a concentrate of wild lettuce extract. To make a tincture, you need to have a “stripper.” The stripper is what the active compounds dissolve into. Typically a high-proof alcohol like vodka is used to make tinctures. Chop it up into smaller pieces then put it into a blender. Let the mixture sit for at least 3 minutes. Some people recommend letting it sit for 1 week. Strain the mixture through a fine mesh, collecting the liquid in a jar. Strain again using a coffee filter, once again collecting the liquid in a jar. Store the tincture liquid in dark bottles.